The intersection of Yangebup Road and Spearwood Avenue, which ranked as Cockburn’s second most dangerous intersection in a 2014 survey. TRAFFIC lights could be installed at the roundabout where Beeliar Drive meets Spearwood Avenue, although the City of Cockburn has not given much away. 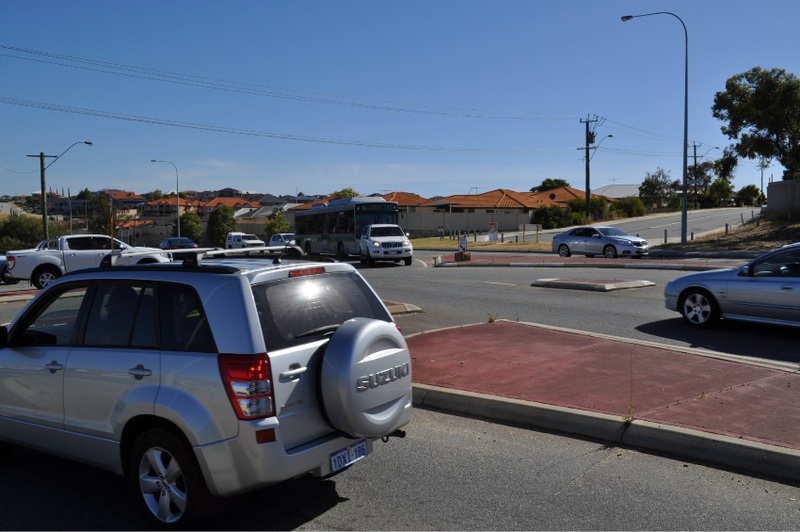 Work to widen Beeliar Drive from Stock Road to Spearwood Avenue is scheduled to finish in June. Prompted largely by growth in Beeliar, Munster, Yangebup and Coogee, it will complete the road as a dual carriageway from Stock Road to the Kwinana Freeway. It is understood traffic lights could be part of traffic changes in the area. Cockburn’s engineering and works services director Charles Sullivan said the City was reviewing traffic data to work out how best to manage traffic using the 7km road. “No decision has yet been made specifically about the Beeliar Drive and Spearwood Road intersection,” he said. While one project nears completion another is struggling to get off the ground. A 2014 survey found the intersection of Yangebup Road and Spearwood Avenue ranked as Cockburn’s second most dangerous intersection. The City has plans to widen Spearwood Avenue between Barrington Street and Beeliar Drive to four lanes, with the City submitting an application for government funding. “All the indications at both State and Federal levels of government are that funding availability will be very tight in the next few years,” Mr Sullivan said.